Fort Lauderdale, Florida – Divorce and Family Law Attorney, Cary Levinson, Esq., of Levinson & Capuano LLC has been selected to the 2016 Florida Super Lawyers Rising Stars list. Each year, no more than 2.5 percent of the lawyers in the state are selected by the research team at Super Lawyers to receive this honor. Cary, is a founding partner at Levinson & Capuano LLC in Fort Lauderdale, Florida. Cary is experienced in a wide variety of family law matters, including prenuptial agreements, postnuptial agreements, uncontested divorces, complex divorces, high asset divorces, paternity, custody, relocation, modifications, enforcement and contempt, domestic violence, as well as business law and criminal defense. 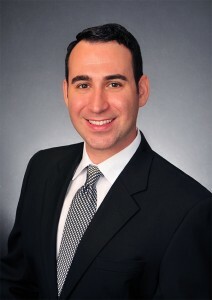 CLICK HERE to visit Cary’s Super Lawyers profile.